Video: Brian Schweitzer, in Iowa, hits Dems who voted for the Iraq War. Who has (at least) one index finger and wouldn’t have voted for the Iraq War? This guy! Scott Conroy appears to be the one national reporter with the sense to follow former Montana Gov. 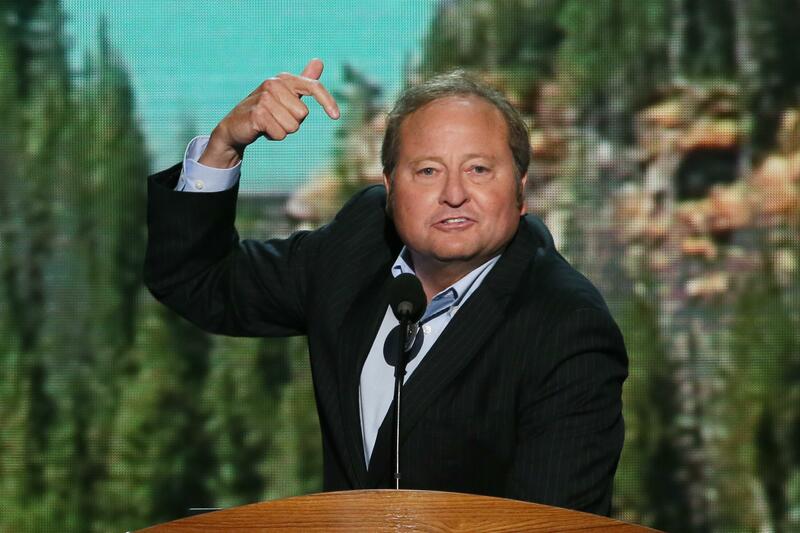 Brian Schweitzer to Iowa, where he gave a speech to happy progressives. The highlight, for internal Democratic Party warfare purposes, was a none-too-subtle rip of Hillary Clinton, the one 2012 contender who voted for the Iraq War. “George Bush got a bunch of Democrats to vote for that war,” mourned Schweitzer. “I was shaking my head in Montana.” And what would such a Democrat do during the next crisis? That comment garnered one of Schweitzer’s few applause lines in his unscripted address, which otherwise focused on homespun anecdotes about his life and public service in Montana, including his efforts to enact education and prison reform. “No more war for oil,” Schweitzer said at the conclusion of his speech. Nope, not really veiled. Clinton’s far more popular among Iowa Democrats than she was in 2008, and even then, in polls of caucus-goers, she won the voters concerned with “experience” and rattled by the assassination of Benazir Bhutto. Another problem, if Schweitzer wants to weaponize this: The reason he’s so ready to end “war for oil” is that he’s aggressively pro-fracking, and wants to turn America into “the Saudi Arabia of natural gas.” Even in this newsy speech, you can see the flaws that make him a suboptimal progressive champion. But there are worse things than being suboptimal! For all the attention paid to Elizabeth Warren and the Progressive Change Campaign Committee, few people have noticed that the PCCC was all-in for Schweitzer when he was pondering a Senate race. PCCC set up a “Draft Schweitzer” campaign to convince the former governor that the left base would be there if he ran. That’s not because of shale. That’s because, in part, of Schweitzer’s support for a single-payer health care reform to replace Obamacare. If Hillary’s moved to the left in 2014 and 2015, I’d bet for the issue to be single-payer. Not inequality. Certainly not Iraq. Like the saying goes: What difference does it make at this point?